It doesn't take much for me to need to make a book purchase. Rarely do I find books that appeal to me at Sam's Club. They just do not carry loads of books like they used to or the variety found at Costco. But yesterday I found four Signet Classics in very readable font, not exactly large print, but larger than usual and very gentle on my eyes. Tolstoy's Anna Karenina caught me eye. I've never read it, but after seeing some discussion on TWTM about a group of girls covenanting to read this together, I picked it up. I have a nice hardbound copy already on my shelves, but its print is small. 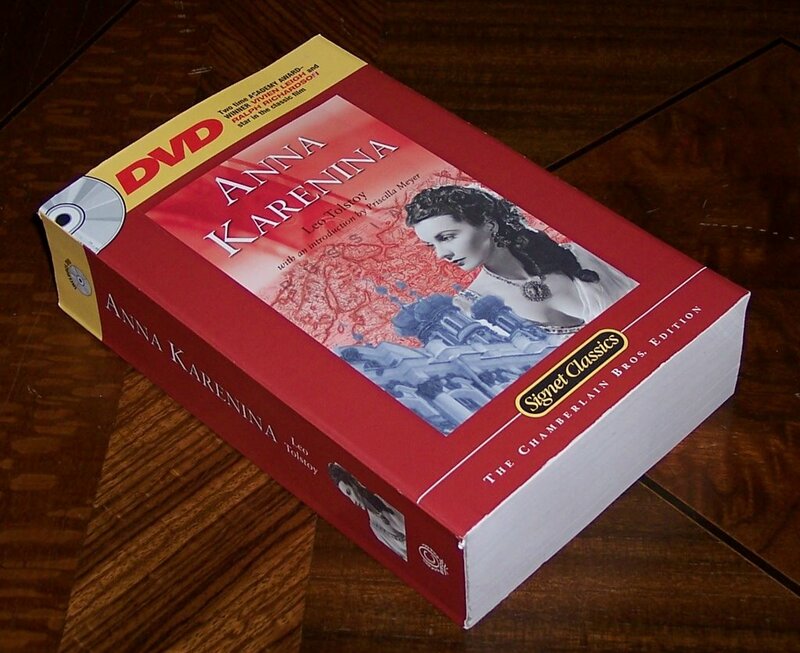 This copy I bought has included the DVD adaptation of the 1948 film with Vivian Leigh. Another added bonus! Hopefully, Anna will probably make the 2007 list. Like I said, easy reasons to buy a book. '07 may be the year for me to read Anna as well. I have a copy on the shelf, but '06 is already becoming a pretty intense reading year. I LOVED Anna...great, great book. I, too, love Anna K. We had a girl live with during her senior year of high school. She was assigned Anna K. and put it off, and put it off. She came home one Friday and announced that she was reading it that weekend. Didn't make it, poor thing. I'm finishing Cry, The Beloved Country and then it's on to Herodotus' The Histories. My son just completed Book I. I'm always trying to catch up! !